European missile specialist MBDA is ramping up its presence locally to provide Australia’s yet-to-be-selected, armed UAS system with the next-generation strike capability that will keep Australian warfighters safe. Following the government's announcement in late 2018 that General Atomics Aeronautical Systems Inc (GA-ASI) and its Reaper family of armed unmanned aerial systems (UAS) had been selected as the preferred medium-altitude, long-endurance (MALE) aircraft for the ADF, European missile and aerospace specialist MBDA has kicked off its mission to provide Australia's fleet of UAS with a next-generation strike capability. 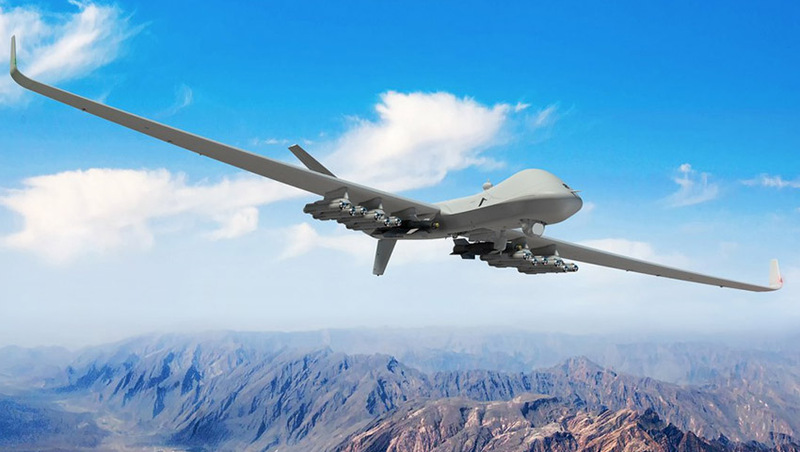 MBDA recently secured the contract to support the UK's fleet of Reaper-based, MQ-9B SkyGuardian, 'Protector Mk 1', remotely piloted aircraft system (RPAS), with the company's Brimstone precision attack weapon. Brimstone is a lightweight (50-kilogram) strike missile offering a unique capability of engaging a wide range of target types, including fast moving vehicles/vessels in both land and naval environments and in both direct and indirect modes. The Brimstone system provides a combat proven, low collateral, close air support weapon offering to the fast jet operator. providing a common weapon that delivers both operational and cost benefits. Commonality is a key part of all MBDA’s latest systems, and is a major contributor to the £1.7 billion in savings that the partnership approach between the UK MoD and MBDA has generated." Dave Postlethwaite, head of UAS and FCAS, air domain UK at MBDA, highlighted the capability of the Brimstone platform, saying, "Brimstone gives the operator the ability to prosecute a strike in otherwise restricted or constrained circumstances with confidence in the precision and low-probability of collateral damage." Combat aircraft armed with the Brimstone weapon offer reach, speed, flexibility, precision and the ability to engage multiple targets with a single mission load. When used from a fixed wing platform, Brimstone provides a rapid response for close air support (CAS) and counter insurgency (COIN) that is not possible from helicopters alone. The introduction of the Brimstone on the SkyGuardian/Protector system presents a number of opportunities for closer operational, strategic and industrial collaboration between the UK and Australia. Russ Martin, head of TMO military adviser sales and business development, MBDA, told Defence Connect, "The Royal Air Force is looking to collaborate closely with the Royal Australian Air Force across areas like crew training, crew swapping across squadrons, shared weapons stockpiles which reduce cost, timeline and capability gaps for both forces." Building on this, Chris Wells, MBDA export sales manager, was quick to expand on the industrial opportunities for Australian industry. He told Defence Connect, "MBDA, which currently provides the ASRAAM for the RAAF's Hornets, maintains and services the weapons at a specialist facility on the outskirts of Sydney. "MBDA will look to replicate the success of the ASRAAM service and maintenance facility with the Brimstone by building on the key government-to-government relationships established through the ASRAAM contracts." Each of the Reaper variants are operated from a common ground control station and are air-transportable by RAAF C-130 Hercules and C-17 Globemaster airlifters, or independently deployable, providing Australian expeditionary forces with a highly capable, reliable and persistent close-air-support, intelligence, surveillance and reconnaissance asset, no matter the variant chosen. Project AIR 7003 Phase 1 is calling for a MALE UAS, colloquially known as self-piloted killer drones. Team Reaper Australia is an industrial team drawing on the expertise of companies including Cobham, Raytheon Australia, CAE Australia and Flight Data Systems, and now includes TAE Aerospace, Rockwell Collins, Ultra Electronics Australia, Airspeed and Quickstep Holdings. Wells told Defence Connect, "We believe that both the Protector and Brimstone package will provide a significantly capability enhancement for Australia, enabling closer collaboration and partnerships across industry and operational grounds."